Infinity Collection Lacrosse Paracord Bracelet- Unisex Lacrosse Bracelet- Lacrosse Jewelry For Lacrosse Players by Infinity Collection at Oregon Lacrosse. Hurry! Limited time offer. Offer valid only while supplies last. Lacrosse Paracord Bracelet -Perfect Lacrosse Gift!!! WHO LOVES LACROSSE?! 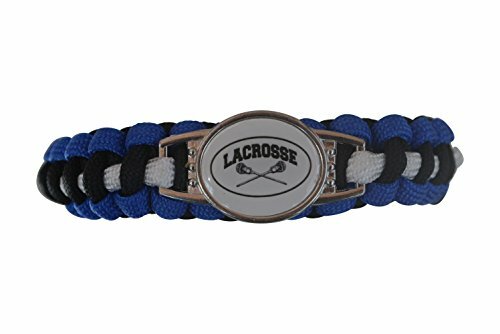 Spread and Express your Pride for Lacrosse with this paracord bracelet.